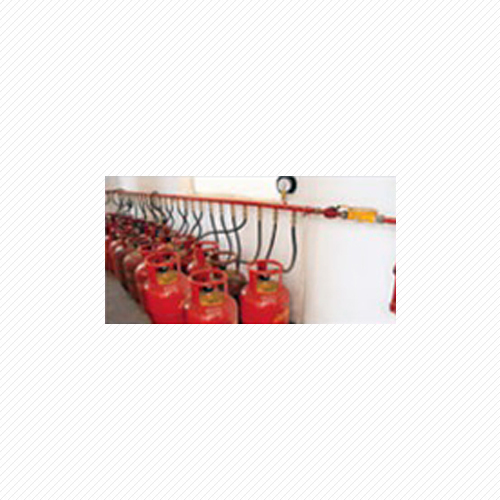 The Reticulated Gas Systems or Piped Gas Systems are advanced systems for supplying LPG for domestic and commercial purposes. They are piped networks that ensure uninterrupted supply of gas through a central gas or cylinder bank. These novel methods of distributing LPG to flats, apartments and buildings employ a piped network to provide complete safety while distributing gas. They have become one of the best ways to save space, time and money as they provide gas at the turn of tap and eradicate the need of cylinder refill booking. The amount of gas used is calculated in the meter located at a suitable position. Their meters measure a definite volume of the gas passing through the meter. Area should be fenced to restrict unauthorized entry.